12 Şubat 2019 Salı 13:01 - 3 reads. 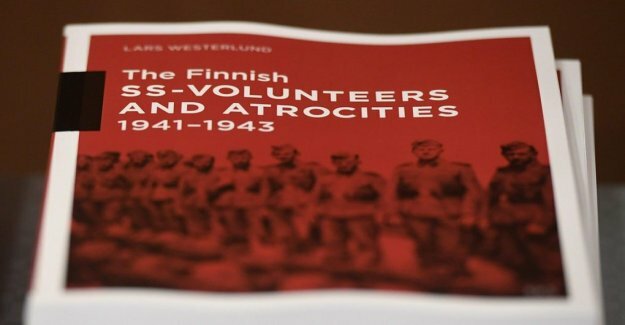 the Investigation, which was appointed by the Finnish government and carried out by the country's leading historians, has come up to 1.408 finns voluntarily served in the SS armoured division Wiking between 1941 and 1943. A significant part of the study is based on diaries from 76 volunteers, of whom eight are still alive. – It is very likely that the Finnish volunteers participated in the killing of jews, other civilians and prisoners of war, " says Jussi Nuorteva, the head of the Finnish national archives, to the AP. that the vast majority of the volunteers had no ideological sympathies with the nazis. – in the beginning, the finns unaware of the germans to eradicate the jews. They were especially interested in the fight against the Soviet union, says Jussi Nuorteva. Finland was invaded by the russians in november 1939 and fought until the spring of 1940, in what is known as the Finnish winter war. When the Soviets eventually emerged as the winner was Finland maintain its independence but had to give up large tracts of land in the peace agreement. for further soviet aggression was Finland's alliance with Germany in order to get weapons and other military equipment. In exchange, insisted the SS head Heinrich Himmler on that Finland would send volunteer soldiers to the Wiking division, which occupied the northern countries also sent troops and also a hundred swedes believed to have joined. A copy of the job of historians report submitted to the secretary of state Paula Lehtomäki, who feel that it is a valuable contribution to the existing research on ”The complexity of the second world war-history”. "We share the responsibility to ensure that these atrocities never be repeated," she says to AP. and highlight their responsibility in the Holocaust is a stark contrast to many other european countries, which instead tries to diminish its role. the Report praised also by Efraim Zuroff, Förintelsehistoriker at the Simon Wiesenthal centre in Israel, who asked the president of finland, Sauli Niinistö, adding the investigation into 2018. He called the decision to publish the content for ”a unique and exemplary courage”, despite the fact that it was ”painful and uncomfortable” for Finland to do so.